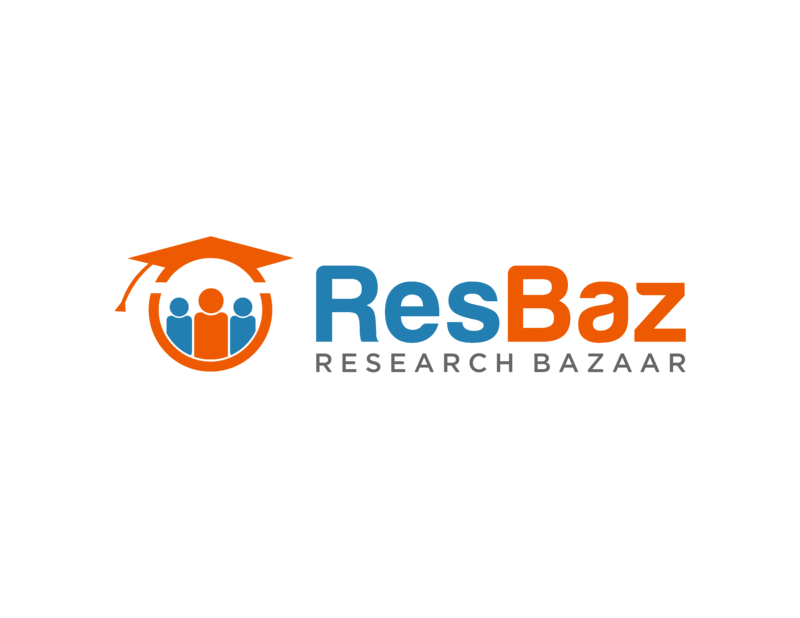 The Research Bazaar (ResBaz) is a worldwide festival promoting the digital literacy emerging at the centre of modern research. Throughout 2019 events will be held at a number of university campuses around the globe. 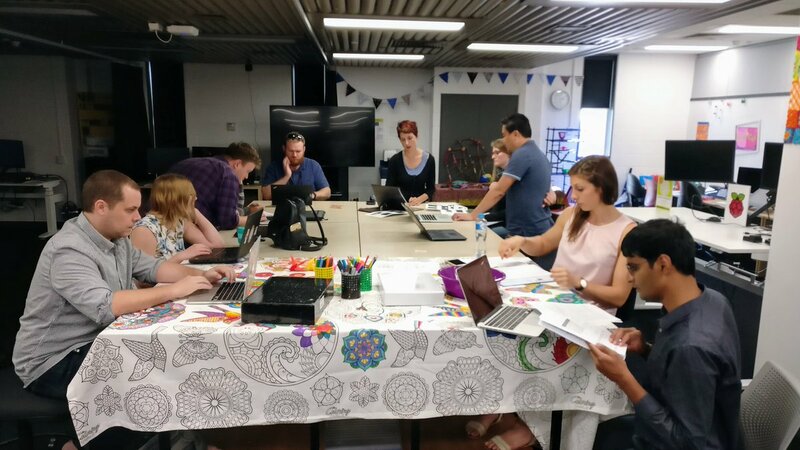 Perth’s ResBaz is a low-cost, 3-day intensive festival and (un-)conference where researchers come together to up-skill in next generation digital research tools and scholarship. In the spirit of a marketplace or bazaar, ResBaz is a highly participatory event where researchers from many different disciplines can learn, share knowledge and skills, and have fun. 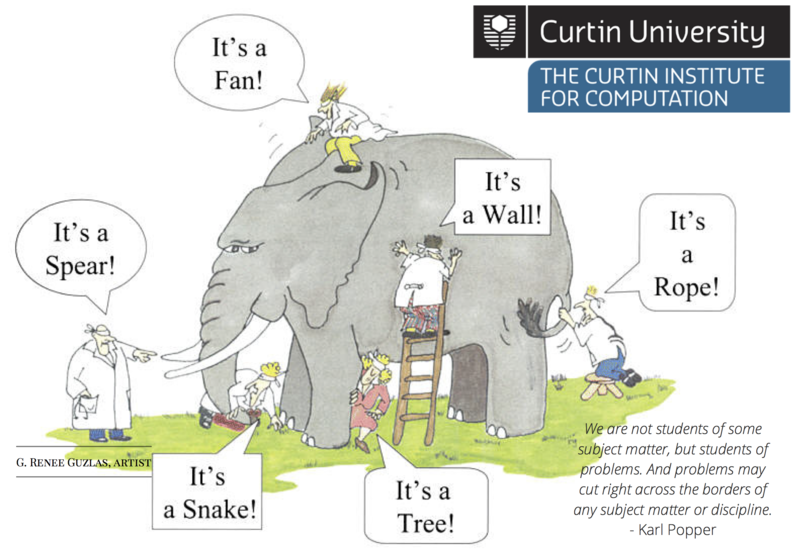 ResBaz Perth 2019 will be held at Curtin University from July 2-4. 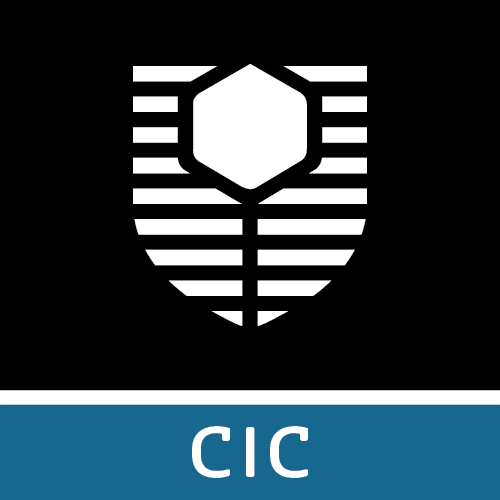 If you are interested in any further information on our past events feel free to contact the CIC team. The Air Force Office of Scientific Research (AFOSR), a part of the Air Force Research Laboratory (AFRL), is the basic research manager for the United States Air Force. In this presentation, Dr Friedland will give an overview of AFOSR including its research areas of interest and its programs through which international researchers can interact with AFOSR and AFRL. 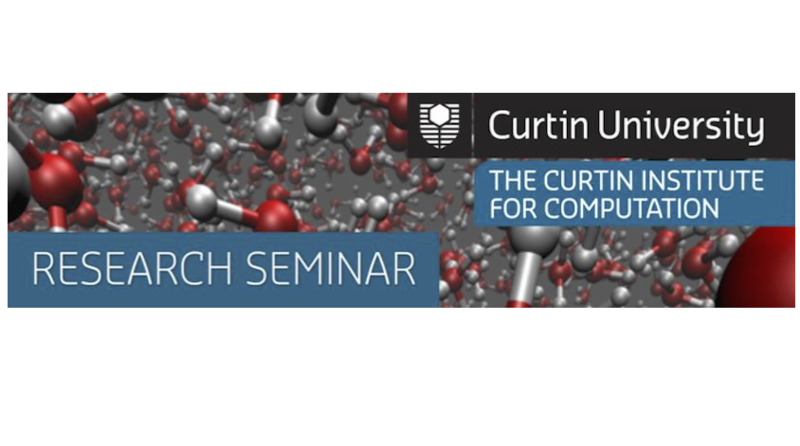 In particular, Dr Friedland will highlight several of the major research partnerships they have in place with Australian scientists in computer and cognitive science, including a joint program with Australian Defence Science and Technology to fund research projects with coPIs in the US and Australia. Peter Friedland’s career has focused on interdisciplinary technology research, development, and application with substantial accomplishments in academia, industry, and government. He received his PhD in Computer Science from Stanford in 1980 for pioneering artificial intelligence research in the areas of planning, knowledge representation, and expert systems. He applied this work to the then emerging discipline of molecular genetics leading to the creation of a user community of several thousand academic and industrial scientists, and the funding of a NIH-sponsored National Research Resource, BIONET. He also co-founded two companies while at Stanford: IntelliGenetics, the first bioinformatics company, and Teknowledge, the first expert systems technology and training company. Both became public companies in the early 80’s. In 1987, Dr. Friedland joined NASA Ames Research Center to create what became the government’s largest and most highly-regarded Intelligent Systems R&D laboratory. The hallmark of the laboratory was the ability to simultaneously conduct state-of-the-art research while also fielding applications to all of the primary NASA missions and Centers. He left Ames in 1995 to form and lead his third company, Intraspect Software, an early knowledge management systems provider, employing 200 staff with sales of over $30M. Dr. Friedland rejoined Ames in 2003 as Chief Technologist where he supervised a wide range of technology development activities in emerging areas like nanotechnology. He also chaired several NASA-wide committees and studies in such areas as core competencies for NASA Centers and technology transition from basic research to fielded applications. He is now an independent technology strategist and consultant with a majority of his time spent as a scientific advisor to the Air Force Office of Scientific Research (AFOSR). His specific areas of emphasis for AFOSR are strategy and tactics for international research investments in all disciplines, and creation of new programs in computer and cognitive science. Dr. Friedland is a Fellow of the Association for the Advancement of Artificial Intelligence (AAAI), and a recipient of the NASA Outstanding Leadership Medal, the AAAI Distinguished Service Award, and the Feigenbaum International Medal for Expert Systems Applications. Includes networking opportunity and afternoon tea. The course is aimed at postgraduate students and researchers who want to learn more about automation and reproducibility of their research. You don’t need to have any previous knowledge of the tools that will be presented at the workshop. Terrestrial Laser Scanners (TLSs) are precision measurement devices that can be used for a variety of applications requiring three-dimensional data. They are able to capture very dense spatial data of large, complex environments in a matter of minutes. The raw point cloud data can be further processed to produce detailed 3D models of cultural heritage sites, industrial installations and construction sites. This presentation focuses on two pertinent issues in the processing chain of terrestrial laser scanner data capture. The first optimal 1st order network design, is the problem of determining the number and location of TLS instrument locations or viewpoints needed for complete site recording. Although this problem has been well treated in the context of geodetic and photogrammetric networks, it has not been sufficiently addressed for TLS networks that might comprise hundreds or even thousands of viewpoints. A hierarchical approach to TLS viewpoint planning based on a new weighted greedy algorithm will be described and demonstrated. The second is the recognition of objects from TLS point cloud data for the specific application of construction progress monitoring. Robust statistical methods are used to identify geometric primitives comprising objects of interests. Results from construction sites and pre-fabricated pipe modules will be presented. Dr Derek Lichti is a Professor with the Department of Geomatics Engineering at the University of Calgary, Canada. He earned his bachelor’s degree from Ryerson University in 1993 with a MSc and PhD from the University of Calgary in 1996 and 1999, respectively. During 1999 and 2007, he was a faculty member in the Department of Spatial Sciences at Curtin University. He has been at Calgary since 2008 and was Head of Department from 2013 to 2018. Since 2013, he has been the Editor-in-Chief of the ISPRS Journal of Photogrammetry and Remote Sensing and he served two terms (2004-8, 2008-12) as the Chair of the ISPRS Working Group on terrestrial laser scanning. For those who would like a short introduction to the OpenLB software. Windows users prepare their laptop in advance following the Technical Report 4 or 5 (www.openlb.net/tech-reports). The internet was built as an open community network on which applications are built and deployed for all or for commercial customers. It has enabled billions of dollars in goods and services. Never anticipated in the euphoria of its utopian vision was the need for a computationally mediated fabric for trust. The erosion of trust today is challenging social cohesion, civil discourse, and damaging people. The emergence of decentralized networks is grounded in trust mediated by self-sovereign digital identity. Toward this future, Arizona State University entered in co-development partnership with Salesforce.com to develop an implementation of a Universal LearnerTM Record, capturing recognition of achievement issued by institutions in credit and non-credit bearing formats. The data structure of the ULR is built on general structure of the Open Badge Initiative v2 spec. This represents what an individual has completed, and directly being applied to the problem of reverse credit transfer; however, it still does not speak to the expression of what an individual can become. Efforts are underway to leverage psychometric and storytelling strategies elicit from learners’ data analysed by AI/ML techniques to build digitally represented narrative arcs to represent the affective expression of personal interests. Dr Long will introduce their approach to building a trust network where learner achievements are stored in a Universal LearnerTM Record on a permissioned blockchain, supported by decentralized IPFS file stores, giving agency and autonomy in a journey of learning, unlearning & relearning. Prof Long is a Senior Scholar at Georgetown University’s Centre for New Designs in Learning and Scholarship. Current work focuses on blockchains and badges in the context of documenting competencies & credentials, learning analytics, emerging technologies and the design of physical learning spaces. Phil is also a Faculty Affiliate at Arizona State University where he leads a Co-Development Partnership with Salesforce designing the personally owned Universal LearnerTM Record managed and stored in distributed ledger trust networks. He is the founder of RHz Consulting, LLC, where he brings his interests to collaborate with others to turn their work challenges into business successes. RHz serves to host his “passion projects”. Prof Long’s professional collaborations are eclectic and international, including leadership roles in the acronym soup of SoLAR, edX, Educause/ELI, IMSGLOBAL, the NMC, and AAEEBL, along with serving on various boards including Nexford University, a competency-based online startup providing undergraduate and graduate courses for learners in developing countries. Phil is a lapsed behavioral biologist, former medical informaticist, now learning scientist, focused on emerging technologies, the cognitive interactions with them, & the spaces, physical and virtual wherein they occur. He enjoys birding, running/hiking, travel, photography, a good scotch and satisfying his passion to pursue ideas wherever they lead. The presentation will be followed by questions and networking. Hacky Hour is a weekly meetup designed to help build a community around data and/or computing driven research. Everyone is welcome to drop-in to work on problems related to code, data, or digital tools in a social environment. We have weekly lightning talks about various topics and regular guest visits from Pawsey and to sweeten the deal we will provide biscuits as well. Follow @CUHackyHour for updates and info on guests and talk topics.